So often, women in discernment want to know what this "seminary" thing is all about. What happens in the Daughters of Charity Seminary? What is expected of a seminary sister? Oh, and by the way, why is it called a seminary and not a novitiate anyway? These are common and important questions to answer. 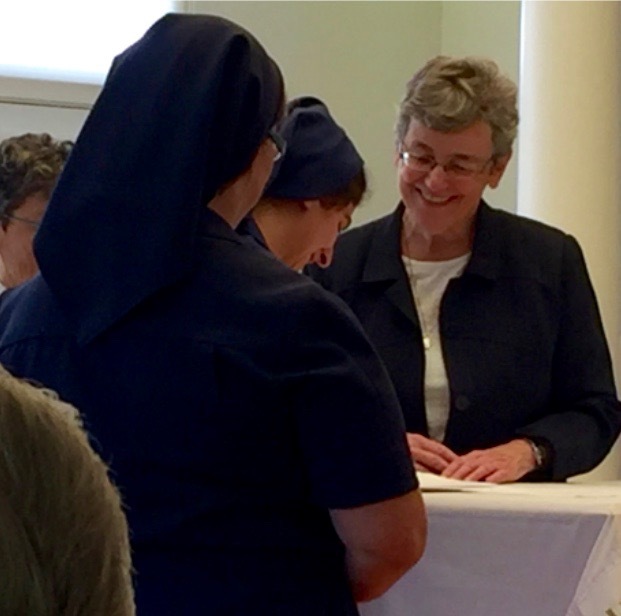 In the Daughters of Charity Seminary, sisters are set apart for a special time of formation. They spend time studying the history and charism of the community and our founders. Emphasis is placed on immersing themselves in the prayer life of a Daughter of Charity. They join others in formation with different communities for workshops and classes about consecrated life, vows, spirituality, and human development. Seminary sisters also spend one day a week ministering with those who are poor. This is a thumbprint of the seminary. A seminary sister is expected to fully engage in her life as a Daughter of Charity, to learn to pray as a sister, serve as a sister, and live a rich community life as a sister. We call it the seminary and not novitiate because, when we were founded in 1633, all communities of women were cloistered. St. Vincent de Paul and St. Louise de Marillac wanted us to serve poor people. So, they were careful to distinguish us from "nuns." That included the vocabulary used to describe out life. We don't have local superiors, we have sister servants. We live in houses, not convents. We become seminary sisters, not novices. Now, to get to the heart of the seminary. One of the most precious opportunities that we are given in the seminary is time to visit with our elderly and infirmed sisters. Each week, time is set aside for that very purpose. You see, there is something so sacred and holy about journeying with those who have blazed the trails before us. There is something so wonderful about the future and the past meeting up and having a weekly chat--sharing ideas about our lives as Daughters of Charity--hearing stories of life on the mission--talking about dreams realized and those yet to be conceived--the beginning and the end--over and over again. It has been happening for almost 400 years. As I write this article, one of our sisters in California has just made her way home to God. For many years, Sister Mary Genevieve Moonier, D.C., was the seminary directress for the Province of the West. She was legendary. Yet, she was called home in the same way as any Daughter of Charity. We took turns visiting her, praying with and for her, singing Marian songs, and soaking in the presence of God that exists in that space between heaven and earth that is so thin at the time of our dying. It is holy ground--with unstrapped sandals we stayed. The sisters who were formed under her are all living in that amazing place too--joyfully remembering the beginning, grieving the end, and with hope celebrating forever. The Alpha and the Omega - the beginning and the end - the seminary, infirmary, mission and then heaven.